David is a Chiropractor, clinic director, and former college professor. He is also an accomplished SCCA/MCSCC road racing competitor and instructor, and has won multiple MCSCC autocross and racing championships. He has competed in and won in combat handgun, pistol marksmanship competition, IDPA ,USPSA, Steel, Tactical Shotgun and Outlaw 3-gun competitions. 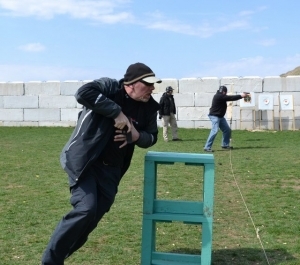 David is an affiliate firearms instructor with Defense Training International (DTI) and has trained with many renowned personal defense instructors nationwide.